Las Vegas is also a mecca for fine neon signage. 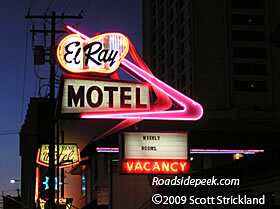 Check out the neon motel signs out in Las Vegas, here at Roadside Peek's Neon Motels Vegas. 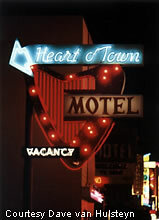 The Heart O'Town Motel is located in ... yes.... the heart of Reno. This neon marquee is guaranteed to quicken any neon fan's heart rate. 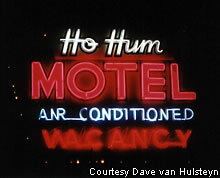 Any motel with a name like the Ho Hum Motel is a welcome member to Roadside Peek. 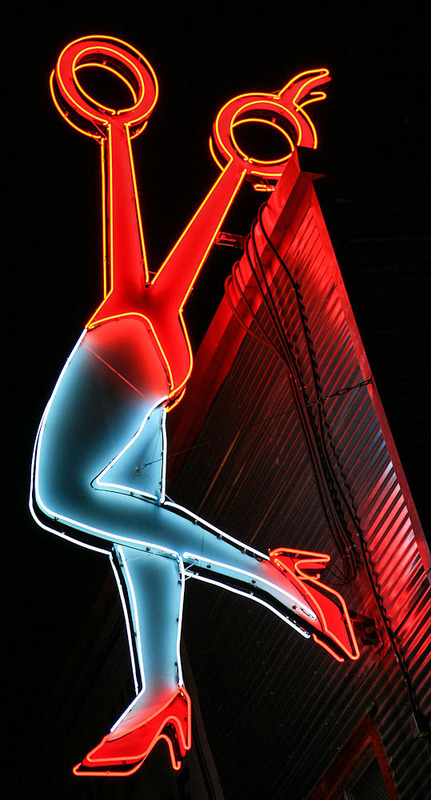 With fabulous working neon, the Ho Hum still glows in Reno. 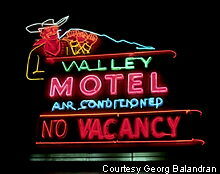 And yes, this motel even has air conditioning. 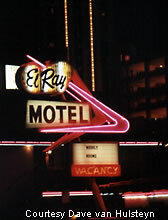 The El Ray Motel features dual boomerang arrows on its eye-catching marquee as the neon tries to sand out from the other signs along this Reno strip. The Nevada Inn Motel sign still lights up the sky when dusk sets in. 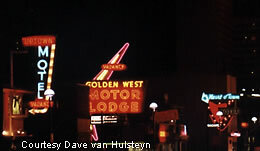 A few good neon signs still light the way near downtown Reno.